14 Designers came together for create a collection of dolls for Doosan Magazine's charity event for the underprivileges childrens and students. 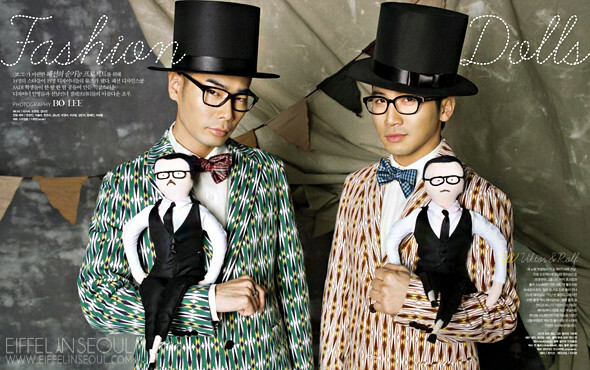 Several stars were also photographed by Bo Lee alongside the dolls for Vogue Korea December 2011 issue. Check out the editorial entitled, Fashion Dolls.